The last 40 years have shown triple the incidence of thyroid cancer in women, yet the mortality rate has remained the same. Why are physicians so quick to diagnose women with thyroid cancer? Medical ignorance is epidemic and nowhere is this more evident than in how contemporary medicine views and treats thyroid cancer. 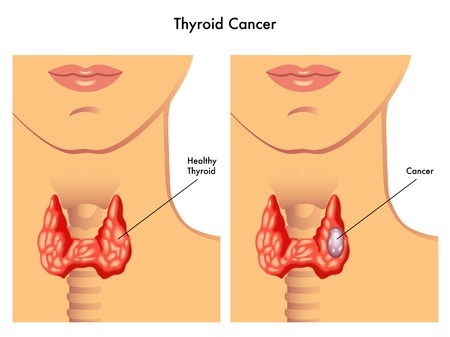 Overtreatment of thyroid cancer with radioactive iodine is rampant even though there is substantial uncertainty about the indications for radioactive iodine for thyroid cancer. Radioactive iodine absorbed by the thyroid can injure the gland. Is The Epidemic of Thyroid Nodule 'Cancers' A Medical Illusion? With nearly 1 in every 7 adults having thyroid nodules, increased screening and treatment has created an epidemic of 'thyroid cancer' diagnoses. But are we really talking about cancer here?